As of 4/7/08, we have sent her 150 pounds in 3 boxes of treats and necessities to share with her 550 Marines in Iraq. Also, she just sent us a thank you letter which we received on 4/10/08 and it is scanned in below. and another handwritten letter from her is here received on 4/18/08. 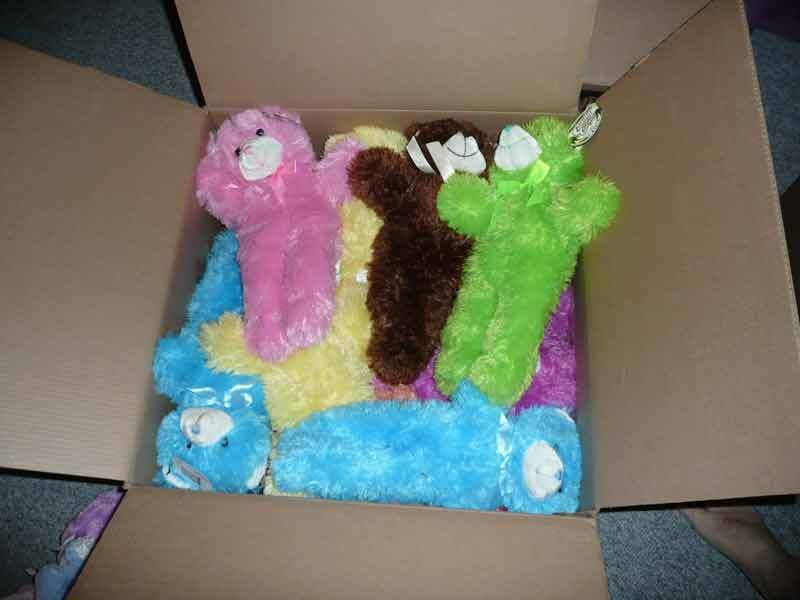 On 4/23/08 2 more big boxes went out. AL ASAD, Iraq (March 31, 2008) – She sits at her desk smiling, awed someone has chosen to introduce her compassion to the rest of the world. With kindness in her eyes, she explains a motivational story; a motto she lives by. “I help people out of genuine love and consideration,” she says. For the Marines of Marine Wing Support Squadron 274, assigned to 3rd Marine Aircraft Wing (Forward), she is a naval doctor who provides health services when they’re ill or injured. To the children living in the small Iraqi villages surrounding Al Asad Air Base, she is a life-saver and a friend. Navy Lt. Cmdr. 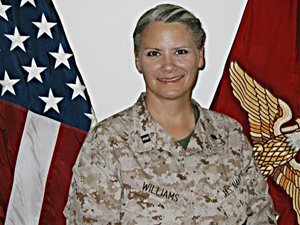 Christina M. Williams, the medical officer for MWSS-274, spends her days working squadron sick-call and supervising the corpsmen who accompany Marines on mounted security patrols to the neighboring villages. As a result of the patrols, Williams, a Tulsa, Okla., native, discovered an increasing need for healthcare, medication and fresh water to the area. Based on the current situation of the area, Williams and other medical personnel have developed future plans to provide a larger scheme of medical attention for the local Iraqis. Many of the health issues could be addressed by providing a clean water source, added Williams. Helping to aid struggling communities has been a consistent theme in Williams’ life. She played an integral part in outreach missions in Guyana, South America, Haiti and Kenya before joining the Navy. The assistance provided in these areas included building churches and clinics that supported medical, dental and immunization programs, as well as initiating water purification systems to allow for clean water consumption. Williams attributes her motivation to seeing a need and striving to meet that need. This is a look at the top of the latest box going out to Christina. They just looked so cute! 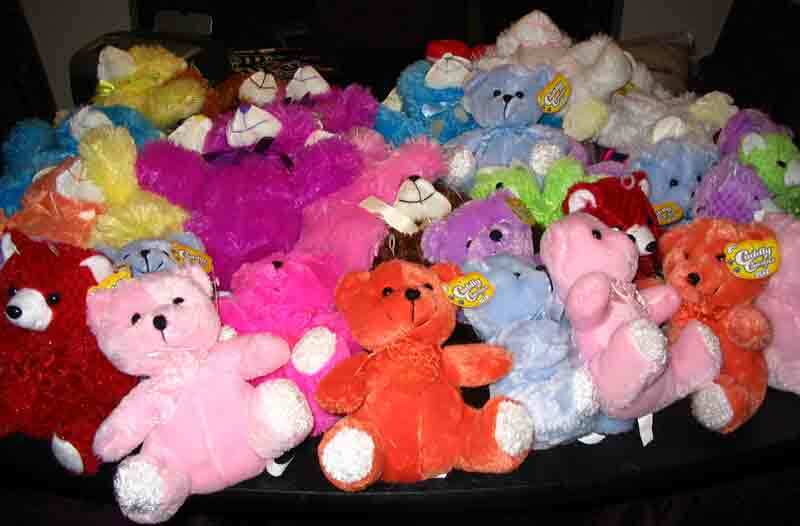 These should make some kids happy. Keep up the good work Christina! Semper Fi ! There are bigger ones in there going too!